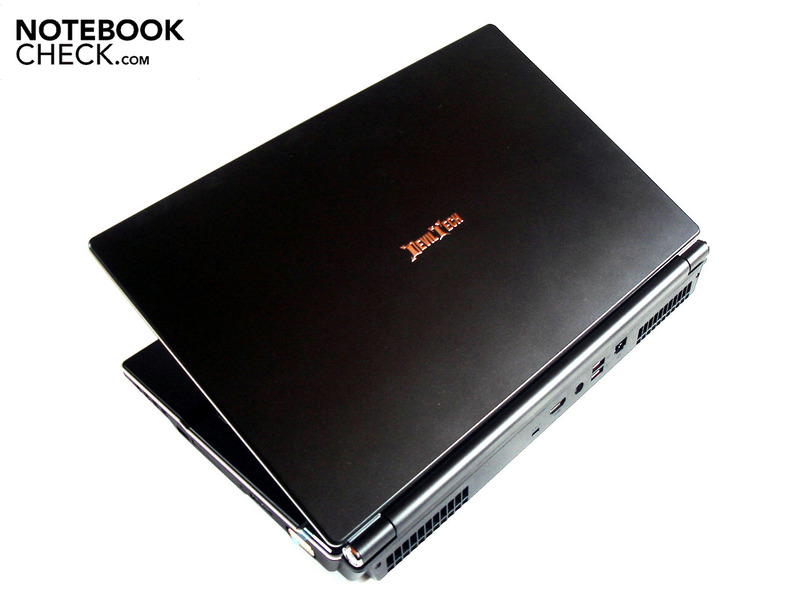 After a seeming eternity, the first notebooks with ATI's fervently awaited Mobility Radeon HD 5870 are finally available. We've snatched the Devil 9700 DTX, a correlating sample from Deviltech, and have taken the Radeon HD 5870 to its limits of gaming capacity. 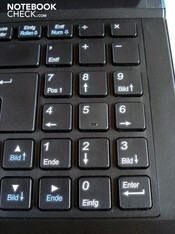 As many other suppliers (mySN, Notebookguru, Cyber-System, Hawkforce etc. ), Deviltech allows the used Clevo barebones to be configured in many various ways (in this case, the W860CU). Intel's latest Core i5 and Core i7 range is available as the processor. This ranges from the dual-core Core i5 520M with 2.40 GHz up to the wickedly expensive quad-core Core i7 920XM with 2.00 GHz for the Devil 9700 DTX. The customer can choose among a DirectX 10 capable GeForce GTX 285M and a DirectX 11 capable, brand new Radeon HD 5870 as the graphic card. 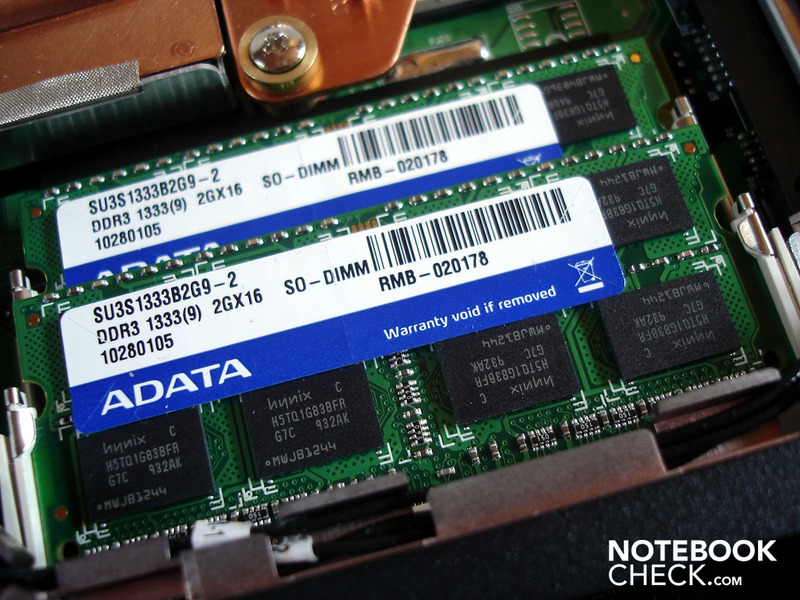 As usual, the DDR3 RAM ranges from two to eight GBytes, the hard disk capacity from 80 GBytes (SSD) up to 640 GBytes (HDD). 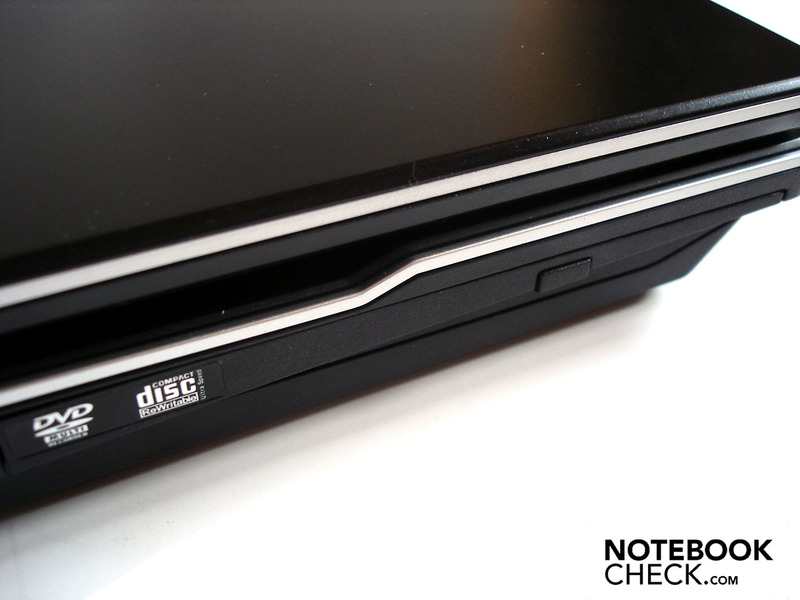 A common DVD burner is built into the standard configuration as an optical drive. 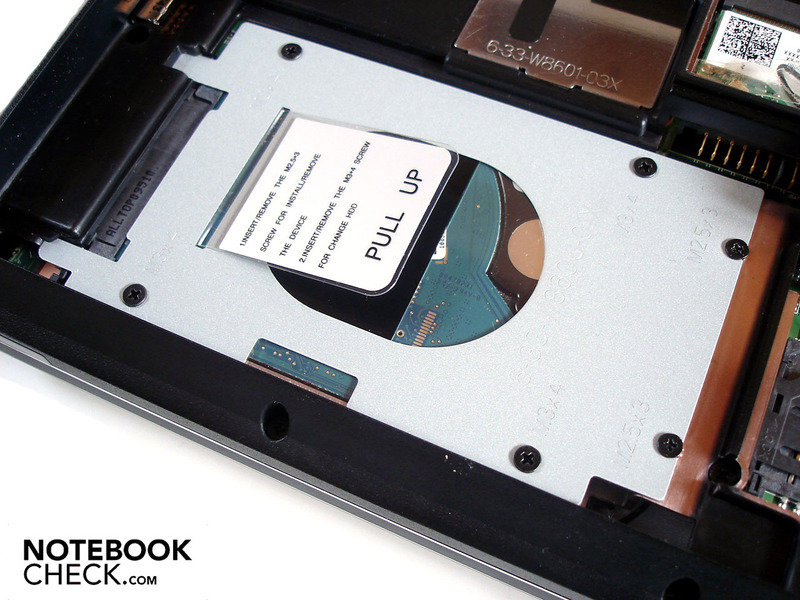 However, a BluRay drive or BluRay burner can be integrated for a surcharge. Finally, WLAN, just like the operating system, costs extra. 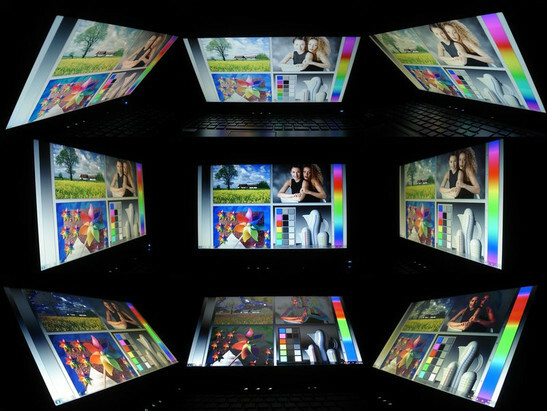 However, you tie yourself to a 15.6 inch FullHD display (1920x1080) with a glossy finish for the display. The Devil 9700 DTX starts at a price of 1329 euro, but the price can quickly rocket to several thousand euro in the according configuration. Our prototype with a Core i7 820QM, Radeon HD 5870, a 4 GByte DDR3 RAM, a 320 GByte HDD (7200 rpm) and Windows 7 Home Premium 64 bit added up to a stately 1841 euro at the time of the test. 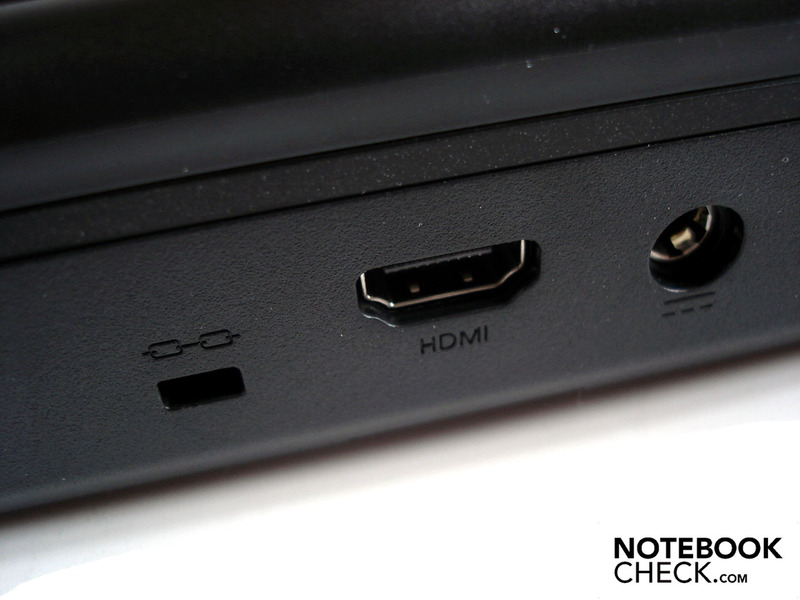 Because we have already reviewed Clevo's W860CU barebone several times before (for example, see the old review about the Devil 9700 DTX), we would like to restrict ourselves to a short summary in the categories: case, connectivity and input devices. The black and well manufactured case is majorly made of matt plastic surfaces, which protect the Devil 9700 DTX against an all too intense smudging. The plain design, with a clear line management, might create a rather somber impression by some, but we liked the timeless appearance remote from the crazed design fantasies of other manufacturers. The base unit doesn't need to put up with any criticism in terms of stability. Everything sits rock solid and makes a very stable impression. In return, the display lid dents evidently at applied pressure in the center and the display bezel shows itself as a bit instable. The image can distort under applied pressure. The hinges are very stable, but force the not exactly light case of 3.48 kg to lift disagreeably. Moreover, the barebone has quite a height with 42 mm, but nevertheless it looks fairly compact with a width of 370 mm and a depth of 260 mm. Those who don't get wide eyes in view of the Devil 9700 DTX's lush connectivity is indeed demanding. Starting on the rear, which already inherits a major part of the most important cables: the DC-in, RJ-45 gigabit LAN, 2 USB 2.0 and HDMI. Those who want to mainly use the notebook as a desktop replacement will likely be pleased about this fact. The left side waits with a modem port, a USB 2.0 and Firewire socket and a 7-in-1 cardreader. The optical drive, in our case a DVD burner, rounds up the left side. In return, the right has four (in the tester's view unfavorably placed and not color coded) audio sockets, which can fortunately emit a full surround sound, whereby the connection to a 5.1 system won't be a problem. 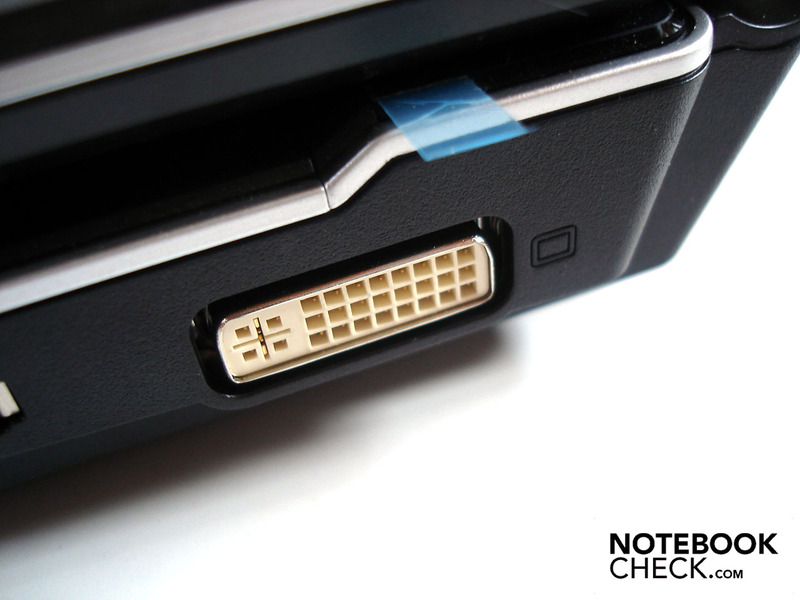 A fourth USB 2.0 port, a 54mm ExpressCard slot and an eSATA port follow. Rather rare in notebooks nowadays - the right even has a DVI connection. A big advantage of barebone suppliers, such as Deviltech, is the always clean installation. Thus, the user doesn't have to spend hours of being annoyed with the deinstallation of superfluous and resource devouring programs, but gets a pleasantly fast system right from the start. Also praiseworthy are the included supplies. 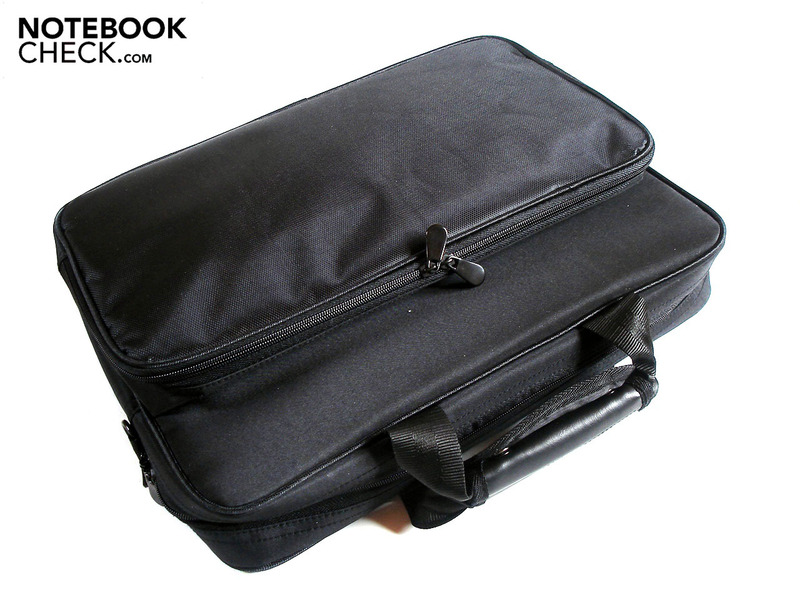 Besides a driver CD, a comprehensive manual, a DVI to VGA adapter and a cleaning cloth, you'll additionally find a black notebook case in the box. The keyboard is still very pleasing even after hours of use. 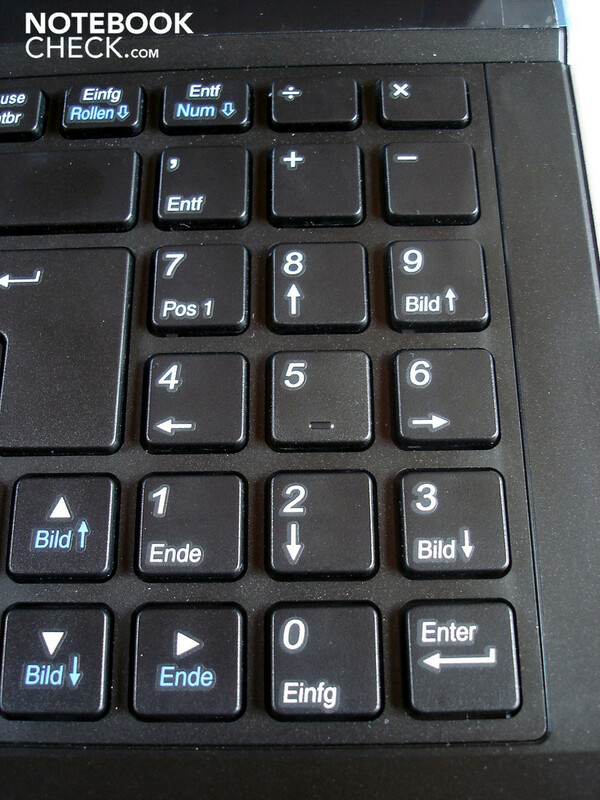 The existence of a separate number pad, the good key size, the short stroke length, the perfect layout and the pleasant pressure point have to be mentioned positively. 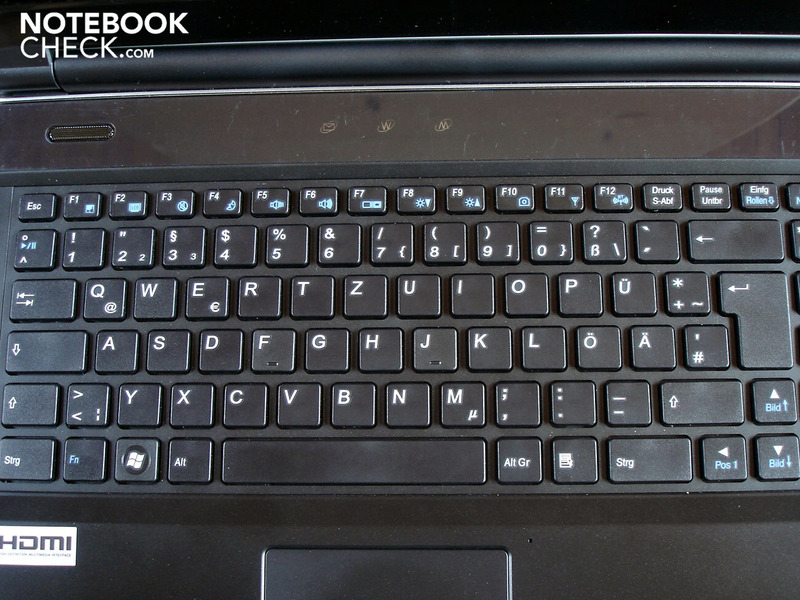 Merely the somewhat loud and clattery key noise and the absence of a keyboard light are blemishes on the otherwise clean slate. The keyboard bends a bit in the center, but this only occurs under disproportionally strong pressure. The touchpad could very well be a bit bigger in size, but very good gliding traits are granted due to the smooth surface. 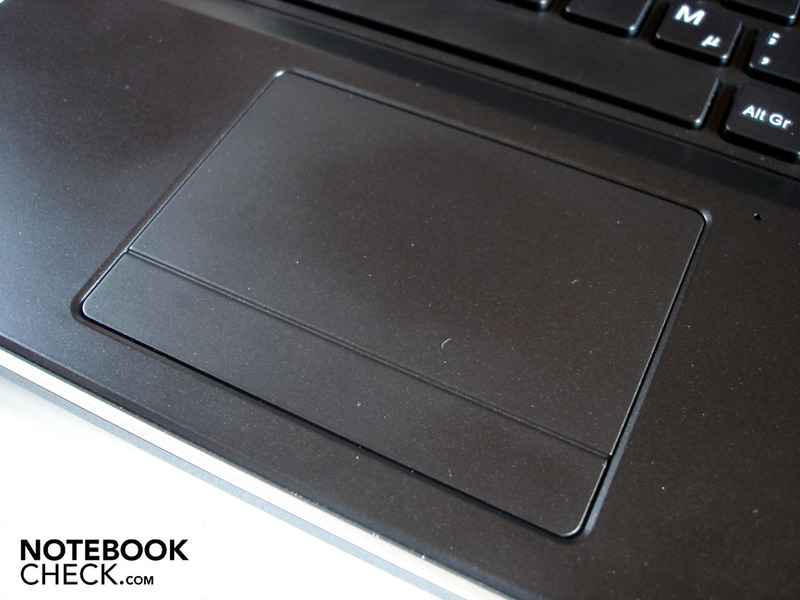 Moreover, the slight lowering helps with the orientation because the touchpad is basically executed in the case's color. Finally, both mouse keys don't really appeal to us because the pressure point proved to be fairly vague and indistinct. Whilst the majority of current notebooks have to accept harsh criticism, the Devil 9700 DTX's 15.6 inch display (16:9 aspect ratio, LED backlight) gathers praise. Thus, the applied screen is very luminous with an average brightness of 292.6 cd/m2 and barely lags behind full-fledged displays. The illumination of 88% is also on a high level. Due to the low black value of 0.43 cd/m2, dark areas don't drift into gray as seen far too often: Black really is black. Finally, a contrast of 663:1 is also more than impressive. The colors look very vivid, the transitions are clear and differentiated. Games and movies are twice as much fun due to the very good display quality. In order to protect the eyes, the brightness for office and internet tasks should even be dimmed every now and again. Deviltech has opted for a FullHD alternative with 1920x1080 pixels for the resolution. An advantage is a crisp image, which barely loses any focus and let fans of BluRay movies and HD videos rejoice. A disadvantage of FullHD are the fairly small icons and writing, in view of the 15 inch size (can be adjusted), which need a certain amount of getting used to. Additionally, even more powerful components in numerous games are often overtaxed with such a resolution. The otherwise perfect display does have one crucial flaw, though. Due to the glossy surface, annoying and unpleasant reflections can already turn up indoors. Furthermore, the Devil 9700 DTX will hardly be suitable for outdoor use due to the reflections because barely anything will be seen on the display, despite the consistent brightness in battery mode. Deviltech has bestowed us with the currently second fastest mobile quad-core processor, which is the very strong Core i7 820QM. The Core i7 820QM has a clock rate of 1.72 GHz and has, in opposition to the favored Core i7 720QM model, not "only" a 6 but an 8 MByte L3 cache right away. However, the TDP is identical with 45 watts. Merely the top model, Core i7 920XM, consumes even more energy with 55 watts. Whilst the currently fastest dual-core model, Core i7 620M, is already manufactured in a cutting edge 32nm process, the Core i7 820 QM is still based on a 45nm structure width. But now to the highlights: Due to the hyperthreading technology, the Core i7 820QM can call on four additionally simulated cores beside its own four cores and thus manage up to eight cores at the same time. However, the benefits are limited to optimized applications, though. Far more interesting for gamers would be the practical turbo mode, called "Turbo Boost", which provides for an automatic CPU overclocking from 1.73 up to 3.06 GHz. Because the waste heat increases considerably during such an overclocking, experience has shown that the Core i7 get very hot and forces many cases to their thermal limits. The result: The turbo mode remains disabled under high load in many notebooks or only provides (if at all) for a very moderate overclocking. Deviltech relies on the now finally available and, at the date of testing, fastest single graphic card, the Mobility Radeon HD 5870 from ATI. Whilst the Nvidia competitors only serve with support for DirectX 10.1, the HD 5870 is technically superior with its support for the current DirectX 11 interface. As its predecessor, Radeon HD 4870, the HD 5870 can fall back on 800 unified shaders. In return, the clock rate has increased considerably from 550 MHz (core) and 888 MHz (memory) to 700 MHz (core) and 1000 MHz (memory). However, the memory bus has been halved from 256 to 128 bits. But because of the applied GDDR5 VRAM this circumstance doesn't turn into the proverbial bottleneck, as the GDDR5 can score with a high memory bandwidth. The manufacturing process of 40nm is very low. The HD 5870 treats itself to as much as 60 watts anyway. Thus, fairly long excursions remote from the mains can only be realized with a powerful battery. 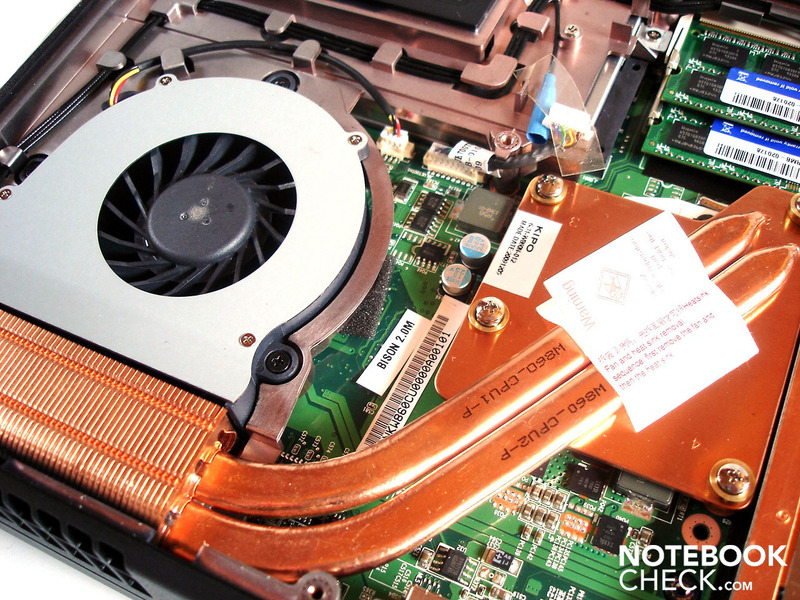 Just one more note: The Radeon HD 5870 might overall be very fast for notebook conditions, but it can only line itself in among the good, but not overwhelming, Radeon HD 5770 in comparison to the desktop range. A four GByte random access memory, consisting of two modules with a 2048 MByte DDR3 RAM (1333 MHz) each, support the processor and graphic card. More main memory currently isn't needed for even demanding games. The Core i7 820QM supplies impressive results in the CPU-biased Cinebench R10 (64 bit). 4002 points in the single-core and 11311 points in the multi-core rendering still have to be surpassed. The Core i7 620M, upclocked to 2.66 MHz, is a bit faster in the single-core rendering with 4224 points, but has to admit a clear defeat in multi-core rendering with 9090 points. The Radeon HD 5870 can excite in the GPU biased 3DMarks with constantly good rates. You don't often see over 40000 points in 3DMark01 and considerably more than 10000 points in 3DMark06. The Radeon HD 5870 achieves a very lavish GPU score of 7638 points even in the extremely demanding 3DMark Vantage. Neither the Radeon HD 4870 (6139 points) nor the GeForce GTX 280M (5243 points) can keep up with that. The performance difference of 7001 points (HD 5870) to 5190 points (HD 4870) and 5846 points (GTX 280M) also becomes obvious in the OpenGL from Cinebench R10 (64bit). Whilst the customer can enjoy a great freedom of choice in configuring the hard disk, we "have to" be satisfied with a 320 GByte sized HDD from Seagate. Thanks to 7200 rpm, the hard disk provides for a good transfer rate of 66.6 MB/s, whereby the fluctuations are between 41.8 and 84.8 MB/s. A matter of taste: Deviltech has forgone on setting up several partitions. However, this can be done at a later date with a (freeware) program. Except for a good rating of 5.9 for the hard disk, the Devil 9700 DTX can scoop up many high points in Windows 7's performance index. It's 7.2 for the processor and graphics (games) and 7.4 for memory and graphics. 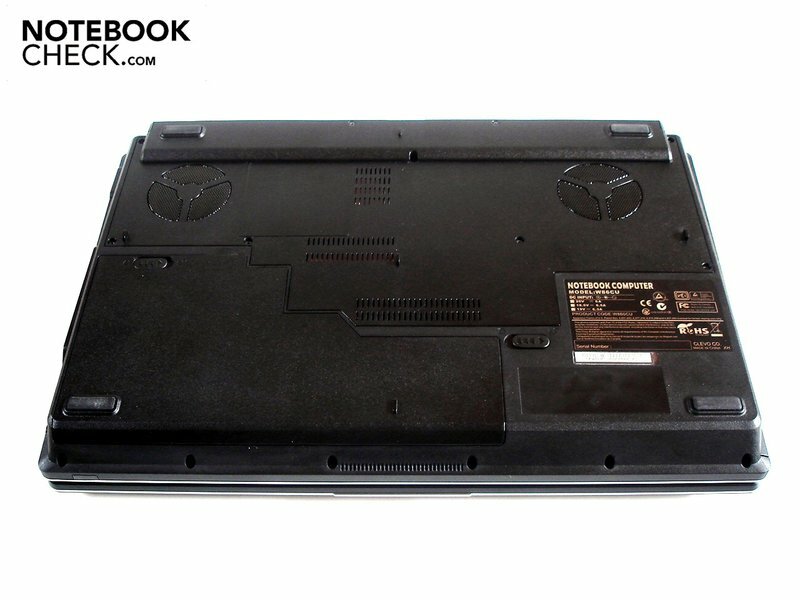 This makes the efficient power pack in the Deviltech notebook evident. The Devil 9700 DTX is definitely high-class in terms of price. However, it is also able to guarantee an extremely high application performance due to the very potent Core i7 820QM and the lightning fast Radeon HD 5870. No matter if CPU or GPU benchmarks, the Devil 9700 DTX operated close to our previous benchmarks. So, if you have the necessary change, you'll get an extremely fast system with a high future guarantee (in terms of notebooks). Note: In the following we will compare the Radeon HD 5870 with its predecessor, the Radeon HD 4870. 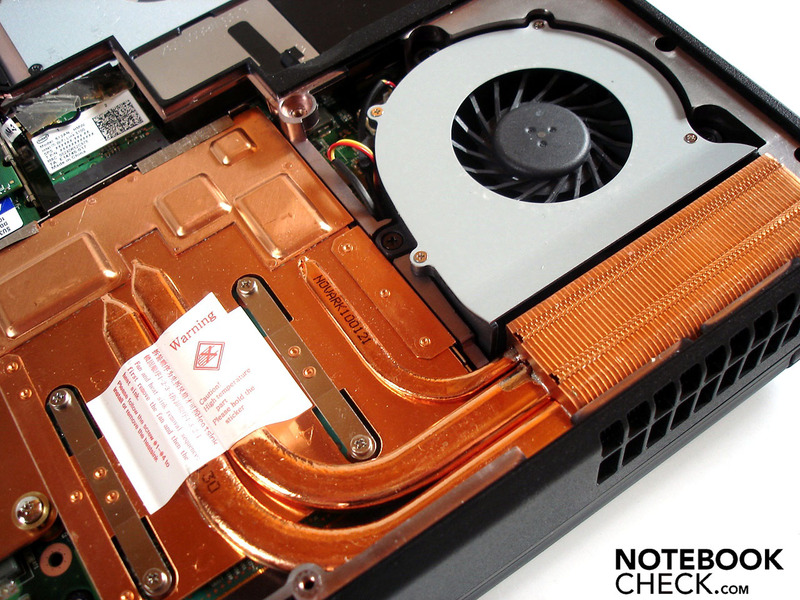 Because the HD 4870's rates originate from a notebook with a 2.66 GHz fast dual-core processor (Alienware M17x), the performance differences are naturally to be viewed with caution, especially in those games that benefit from more than two cores. Since F.E.A.R. 2 has already been on the market for a while and doesn't attract attention with exorbitant hardware demands any longer, the Devil 9700 DTX doesn't have any problems to provide a smooth gaming experience. Even in a native resolution of 1920x1080, maximum details (all on) and 4xAA, the HD 5870 achieves an outstanding 63.1 fps. The HD 4870 computes a lot slower with 49.3 fps, even if you barely notice it. The difference to the predecessor graphic card turns out to be enormous in the FullHD resolution, very high details (all on) and 4xAA. Whilst the HD 4870, with a dual-core CPU, reaches 30.8 fps, the HD 5870, with a quad-core CPU, achieves a very much higher 50.7 fps. The typical performance breakdowns, with which you usually have to cope with in Modern Warfare 2 in very demanding scenes (e.g. extensive smoke-effects) are completely omitted with the Radeon HD 5870. After initial experience, Bad Company 2 appears to be a great multiplayer game. Many players have had to struggle with massive problems, e.g. being kicked by Punkbuster, in the beginning, though. The Devil 9700 DTX had to struggle in a resolution of 1920x1080, high details (HBAO on), 4xAA and 8xAF, too. These demanding settings are expressed as a good, but not entirely smooth 33.1 fps. Changing to 2xAA and 4xAF barely has an impact with 34.9 fps. The highly awarded building strategy game, Anno 1404, has been exemplary optimized and generally scales with the applied clock rate and with the number of available cores noticeably. Thus, the combination of the Core i7 820M and Radeon HD 5870 can supply an excellent 55.7 fps in a resolution of 1920x1080, very high pre-settings and 4xAF. 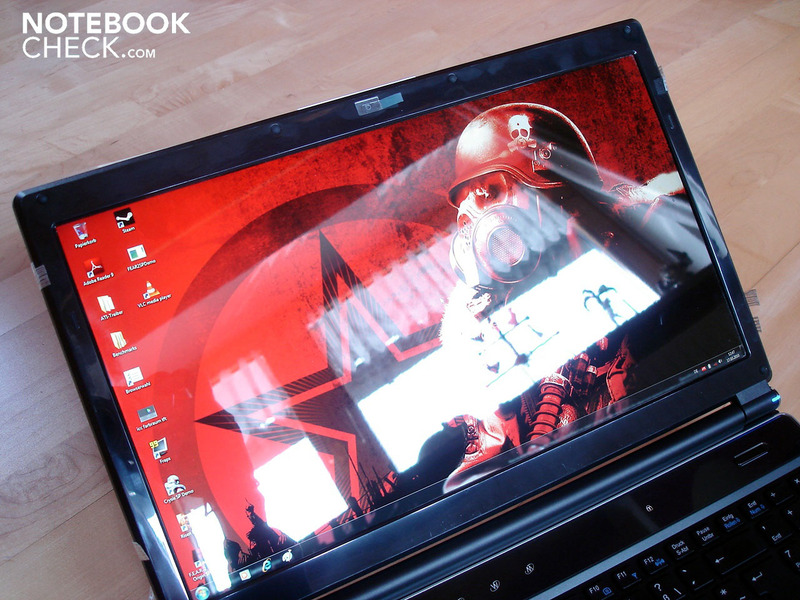 A Core i7 620M achieves 48.2 fps in interaction with a Radeon HD 4870. The race game, Need for Speed Shift, seems to be not as well-optimized, as it can even brings high-performance systems to their limits. But the HD 5870 puts up a good show in a FullHD resolution, high details and 4xAA with 41.5 fps. As can be seen in the performance graph, the refresh rate was very constant within a race. The Radeon HD 4870 is significantly slower in this setting with 30.7 fps. 30 fps is actually enough to perceive an almost smooth image in role games with a third-person point of view. In this regard, the Devil 9700 DTX remains just still within a reasonable field in the native resolution, high details and 4xAF with 31.6 fps. The Radeon HD 4870 is a bit slower in comparison to the HD 5870 in comparison. The new shooting star of race games, Colin McRae Dirt 2, looks almost wickedly good with the DirectX 11 capable graphic card, but these looks have to be paid for with a high resource requirements. Thus, a resolution of 1920x1080 and a very high presetting of 4xAA end up in a fairly smooth 30.9 fps. Dirt 2 does benefit from four CPU cores, but the graphic card sets limits in high settings. This becomes evident by means of a Radeon HD 4870 with a dual-core ending up with a marginally poorer 29.5 fps. As you can see, we haven't been able to push the HD 5870 under 30 fps yet (whereby we've forgone on very high AA & AF settings). The technically superior Crysis knows how to abolish this circumstance skillfully. Despite its great effort, the Devil 9700 DTX only achieves 26.2 in the CPU and 29.0 fps in the GPU benchmark in the FullHD resolution and high details. The Core i7 620M and Radeon HD 4870 achieve 22.6 fps in the CPU and 24.8 fps in the GPU benchmark. Very high details ultimately overtax the Core i7 820M and Radeon HD 5870 combination completely: A meager 15.8 fps in the CPU and 17.1 fps in the GPU benchmark aren't by far enough for an adequate gaming experience. Because the integrated benchmark is more demanding than the real game, we are fortunately able to play Crysis in high details smoothly in-game. All games we've tested can be played (fairly) smoothly in (very) high details and the native FullHD resolution of 1920x1080, including quality enhancements, such as antialiasing or anisotropic filtering. 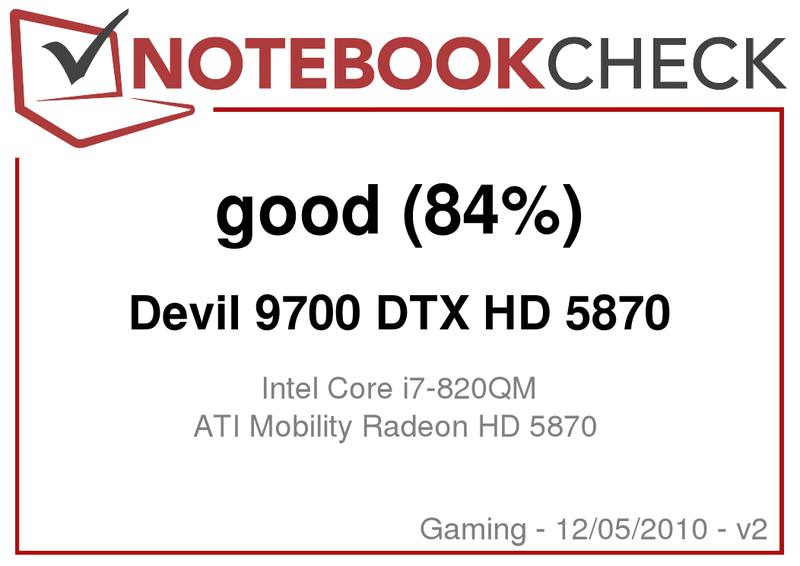 Barely a notebook has been able to do that, which is why the Devil 9700 DTX has earned our respect. The Radeon HD 5870 can sometimes barely, and then again, sometimes clearly takes the lead in comparison to its predecessor, Radeon HD 4870. The performance difference adds up to a respectable total of 25%, whereby the single rates turn out as follows: F.E.A.R. 2 +28%, Modern Warfare 2 +65%, Anno 1404 +16%, Shift +35%, Risen +12%, Dirt 2 +5%, and Crysis +17%. Please see our gaming list for differences in medium details and/or lower resolutions. However, it has to be mentioned again that the Radeon HD 4870's rates have been assessed with a dual-core and not with a quad-core and are therefore only comparable to an extent. Nevertheless, the Devil 9700 DTX's gaming performance is outstanding and belongs to the best that we've ever seen. You should however keep in mind that the Mobility Radeon HD 5870, despite its high performance, can't come close to keeping up with high-performance desktop systems, which can serve with notably faster graphic solutions, like the Radeon HD 5850, for already half the price. We've basically praised the Devil 9700 DTX a lot until now. But the desktop replacement has to accept criticism in terms of noise development. When the notebook is started, it's barely audible and almost suspiciously quiet. When the Windows screen then finally appears, the user doesn't have to wait very long and the fans turn up to a very audible 38.4-38.5 dB(A). 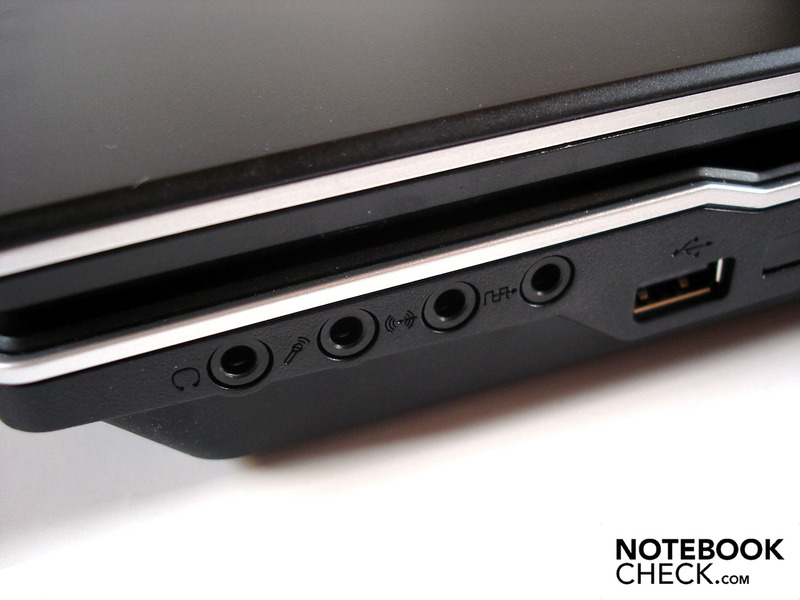 If the notebook is put under a bit of load, the noise level increases slightly to 40.4-41.4 dB(A). The fans whir with an almost disturbingly loud 44.7-45.1 dB(A) under high load, as in games, etc. This way, even sequences of firing in action games are sometimes drowned. Since the high frequency fan noise also doesn't belong to the most pleasant ones and even an occasional slight roar or whirring can be heard, the Devil 9700 DTX is only suitable for noise sensitive users to an extent. We've personally experienced the fan noise as very close to the limits, but in view of the good performance it's still acceptable. And because the component and surface temperatures aren't problematic, the fan's settings seem a bit exaggerated, in our opinion. Perhaps a future bios update will provide for a certain relief. The hard disk and the optical drive (DVD rendering) aren't discernable within the existing soundscape. The DVD drive is merely audible when accessing data. A positive side effect of the loud fans is the fairly low temperatures. 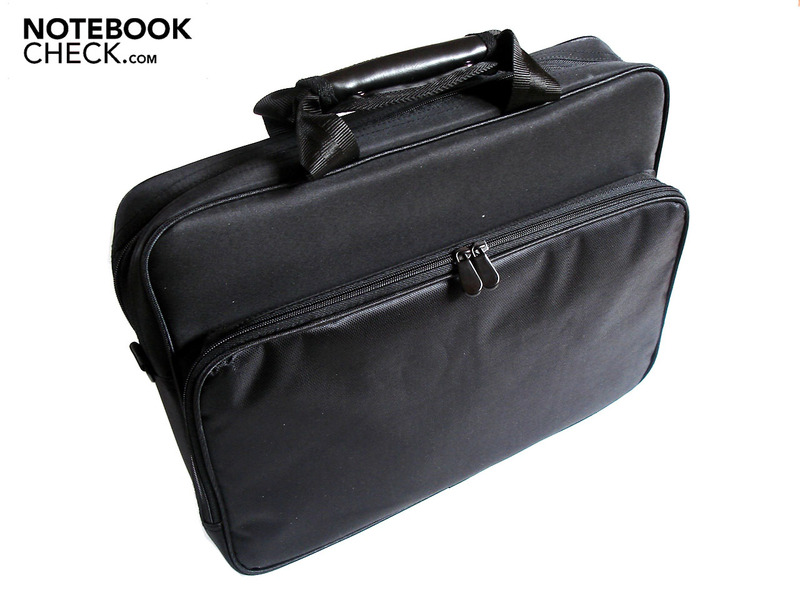 The case stays pleasantly cool on both the upper and bottom side in idle use with a maximum of 30.3°C. The bottom heats up to 41.6°C selectively under load, whereas the upper side reaches a maximum of 48.4°C. Let's now look at the wrist-rest. It merely reaches 30.2°C even under load. Therefore, your hands will barely heat up and you can even spend a longer time in front of the notebook without problems. 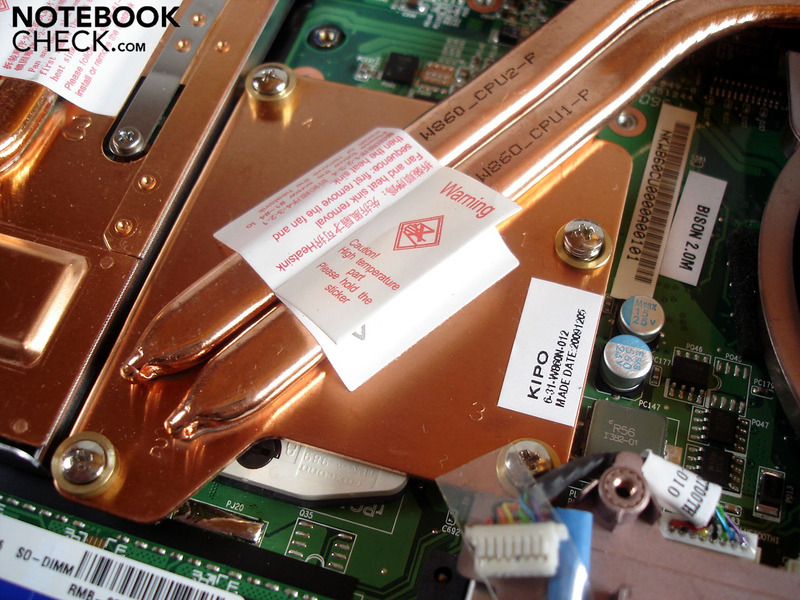 Since the Mobility Radeon HD 5870 is still brand new, we can only measure the Core i7 820M's temperature inside the case. The processor ranges in a good area of 50°C in idle mode. In return, in our endurance test (several hours of full load by Furmark and Prime) the CPU heated up to a high, but still acceptable, 84°C. In comparison: In other previously reviewed notebooks, the processors of the Core i7 range partly reached an alarmingly high 100°C. (±) The average temperature for the upper side under maximal load is 33 °C / 91 F, compared to the average of 32.9 °C / 91 F for the devices in the class Gaming. Barely a notebook can score with a convincing soundscape and the Devil 9700 DTX isn't an exception in this regard. The sound generally makes a fairly dampened and tinny impression. Bass is minimally existent, but sounds quite weak and indistinct despite the subwoofer. If you turn up the speakers to their surprisingly high maximum, the sound also gets extremely imprecise and unpleasant. So, the user shouldn't forgo on an external sound system when possible. Second major critique point is the absolutely inadequate battery life. 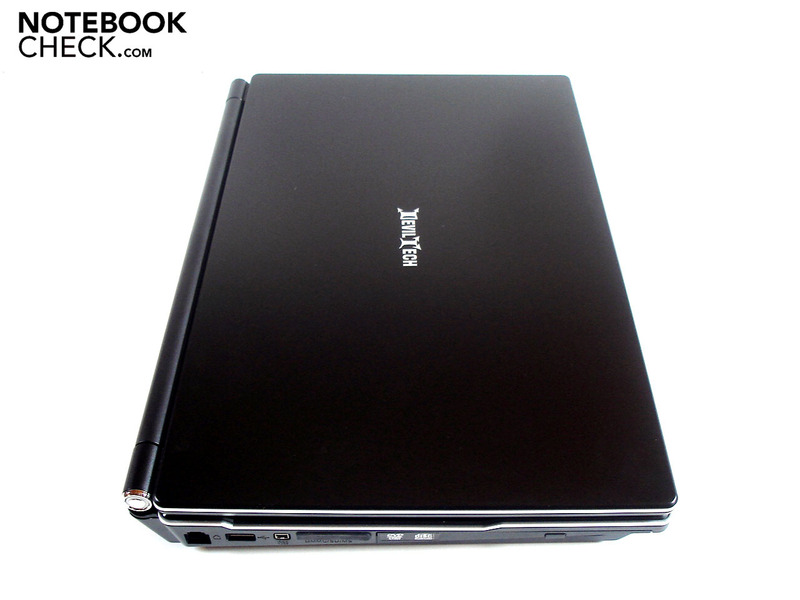 Most users will likely use the Devil 9700 DTX mainly as a desktop replacement and thus barely make use of the battery. Nevertheless, the given battery life is very disappointing. 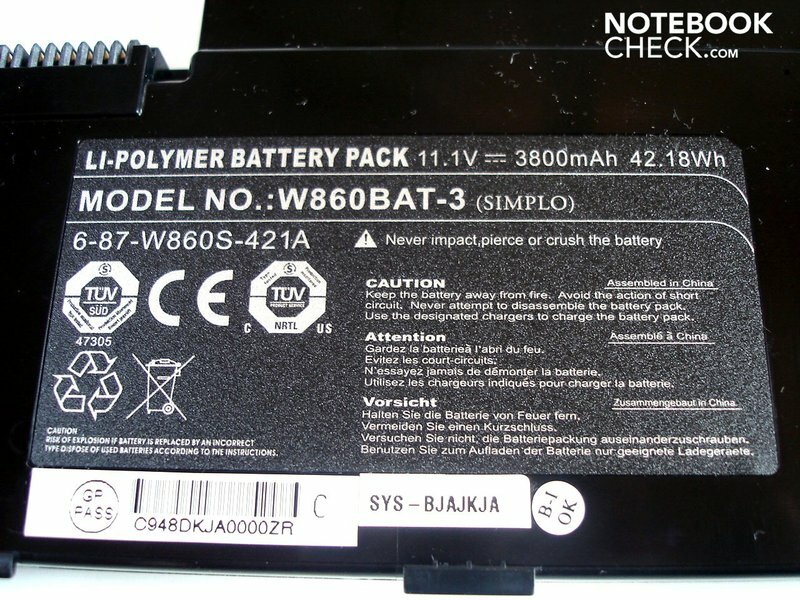 Due to the in no way sparing components, the notebook isn't able to achieve a runtime of over an hour in idle mode (BatteryEater's Reader's test) even with maximum energy savings options and minimum brightness. The result is an insufficient 47 minutes. 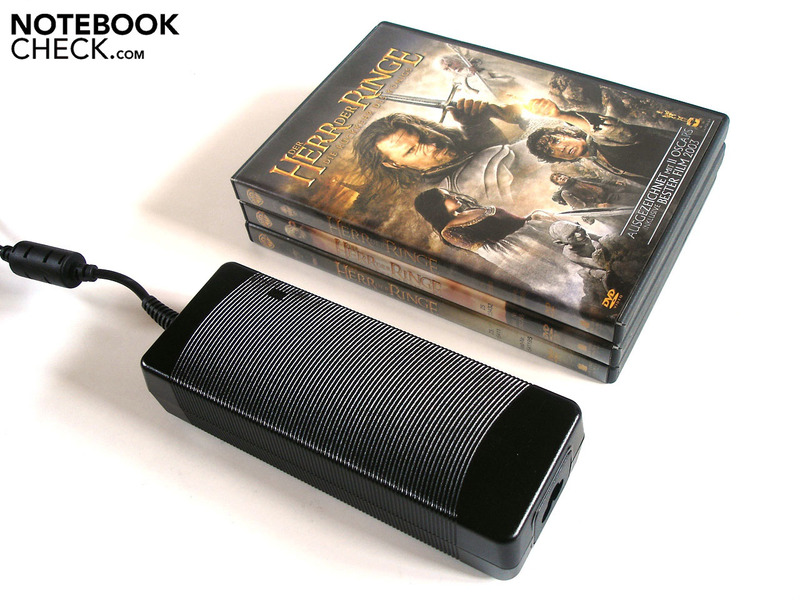 The battery supplied equally poor results in both internet surfing via the integrated WLAN (40 minutes) as well as in DVD rendering (35 minutes) with maximum brightness and medium energy savings options. Finally, the Devil 9700 DTX is already exhausted after 30 minutes under load and disabled energy savings options (BatteryEater's Classic test). Not surprising: The Radeon HD 5870 and Core i7 820QM consume a lot of energy under load with 124.5-165.4 watts. That's about twice as much as an average multimedia notebook. In return, in idle mode it's 53.9-61.9 watts and thus more than some office notebooks treat themselves to under load. Overall, the Deviltech Devil 9700 DTX has impressed us. The given gaming performance turns out very high due to the Core i7 830QM and Radeon HD 5879. Almost every game can be displayed smoothly in high details and the native FullHD resolution of 1920x1080. 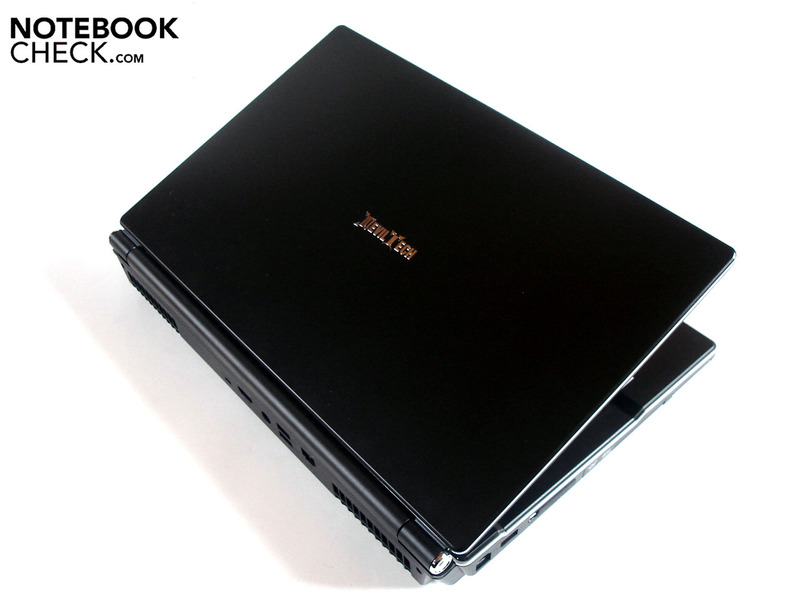 The notebook can gather further plus points with its torsional stiffness and simple design, which isn't as prone to smudge due to its matt surfaces. 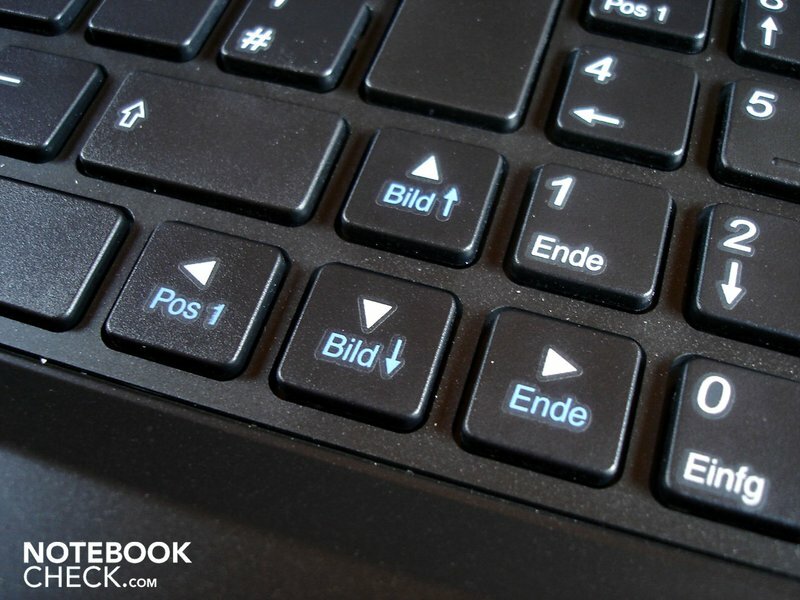 The many connections and the fairly stable keyboard with its great key pressure point will also remain unforgettable. Additionally, the display proved to be unusually high-end. No matter if brightness, black value or contrast, all rates moved on a high level. Merely the reflective display surface, the poor battery life and the very audible fans leave a sour taste and prevent the very good rating of 88%. If you're not deterred by the loud fans or the high price, you'll find a comprehensively equipped and extremely high-performance gaming notebook with an excellent display in the Devil 9700 DTX. 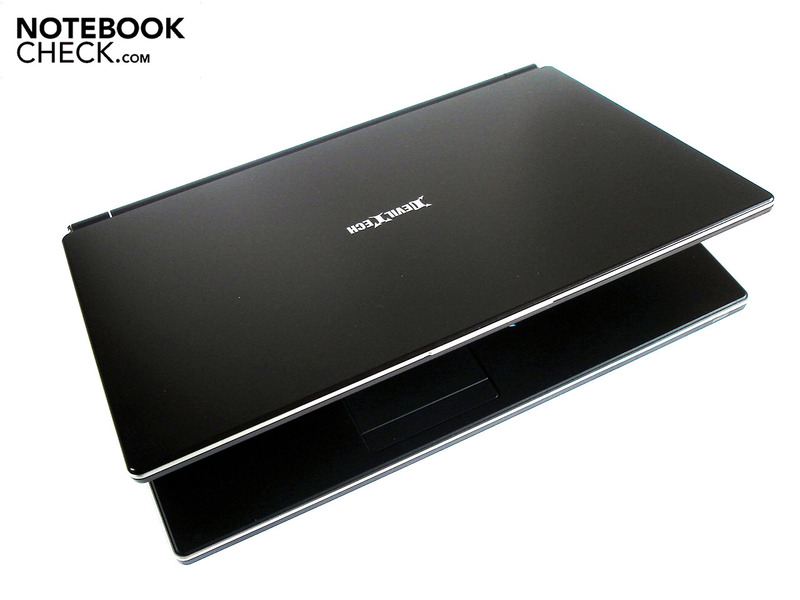 The case has quite a height with 42 mm but is compact due to a width of 370 mm and a depth of 260 mm. The battery life is very short due to the power hungry components. Like all other keys, the arrow keys are pleasantly big. The given sound quality is rather low. The chic power button lights up in blue when activated. 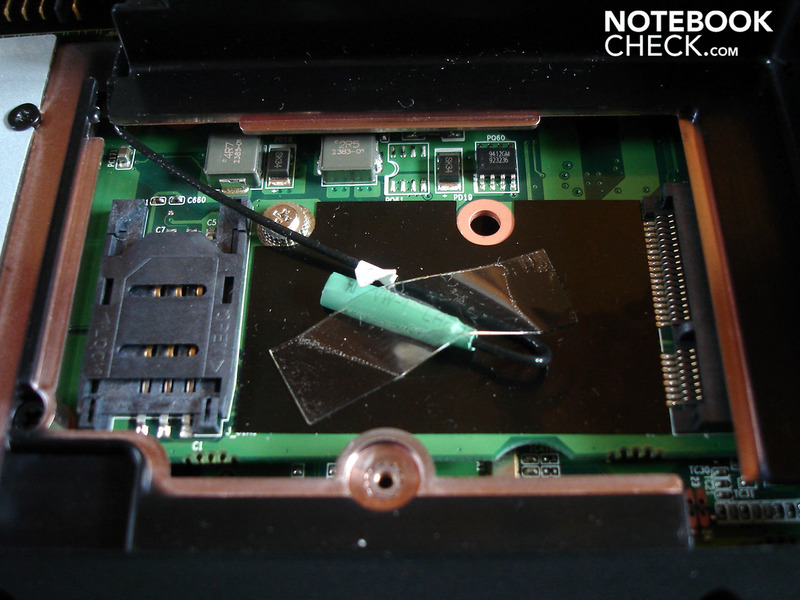 You barely ever find a DVI connection in notebooks nowadays. 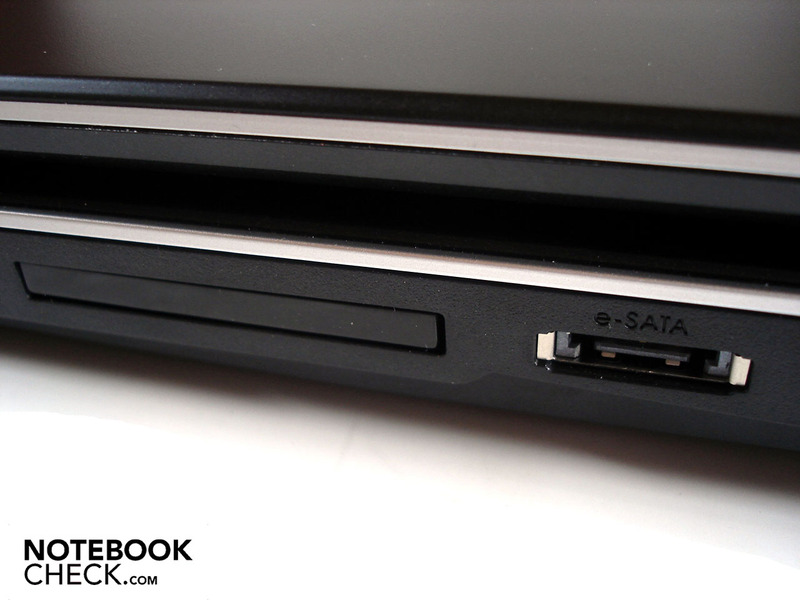 The slot for 54mm ExpressCards and an eSATA port wait on the right. There are even four audio sockets and a USB 2.0 port on the right, as well. 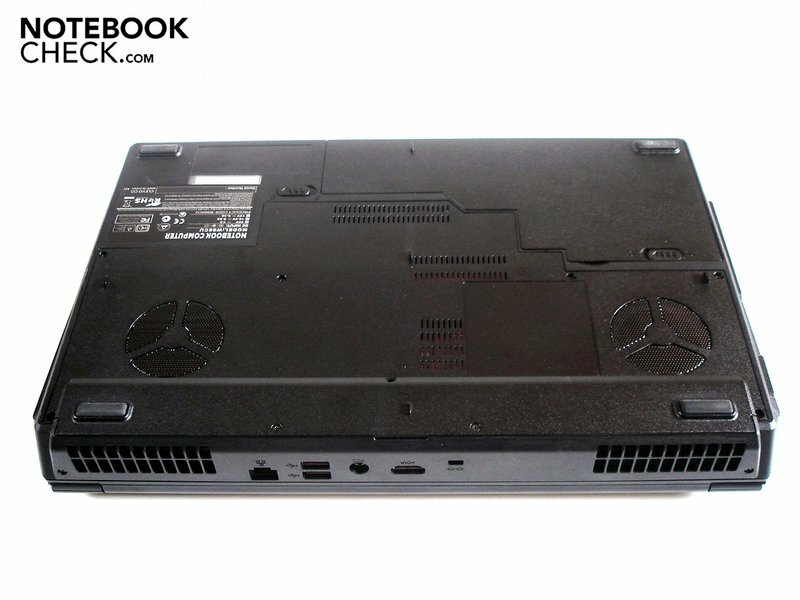 The optical drive is a DVD burner in our case. The left side is completed with a RJ_11 modem, USB 2.0, Firewire and a 7-in-1 cardreader. 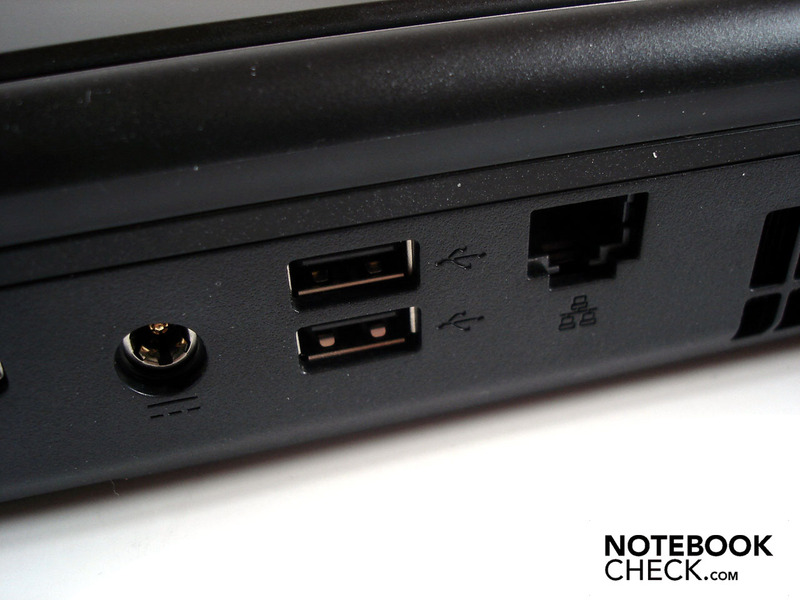 The rear has a DC-in, two further USB 2.0 ports and an RJ-45 gigabit LAN. A Kensington lock and HDMI connection completes this side. 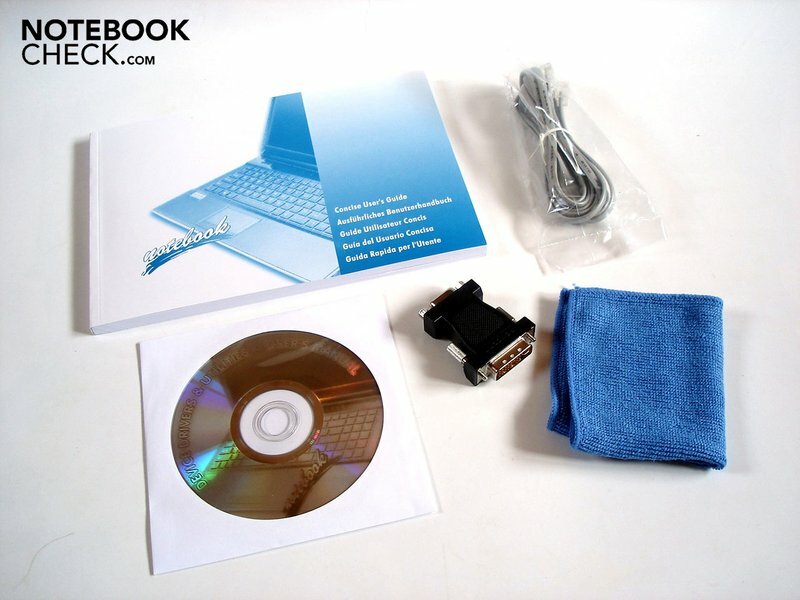 The customer receives a cleaning cloth, a modem cable, a DVI to VGA adapter, a driver CD and a manual as supplies. Additionally, a black notebook case is in the box. Thus, there's nothing in the way of a safe transportation. The big battery has an unusual shape. The case's base has two louvers and a subwoofer. Extreme cooling solutions keep the temperatures within an acceptable frame. The Devil 9700 DTX can be opened unusually far. 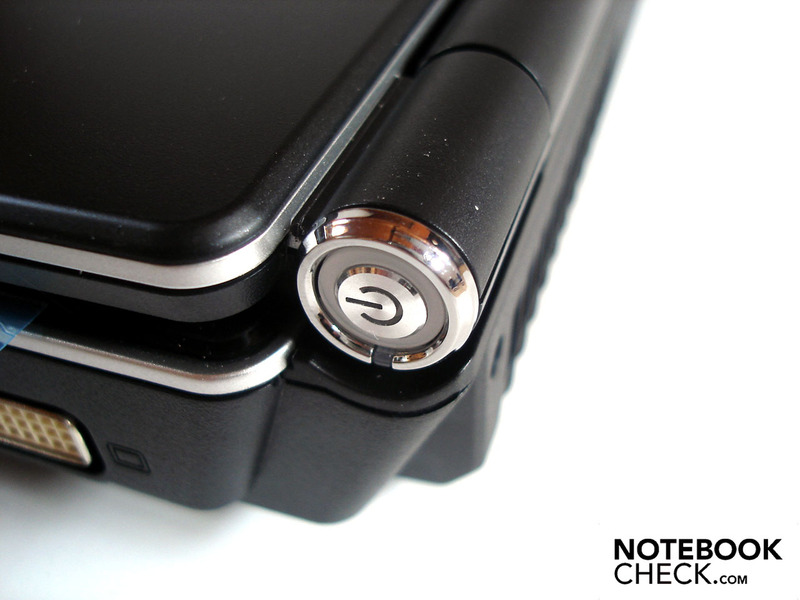 A chic Deviltech logo adorns the display lid. The matt black surfaces provide for a certain smudging-resistance and are quite resistant. Silver rims add nice accents to the otherwise plain design. The base plate is fixated by 9 screws. All components are accessible, without exception. The left fan takes care of the CPU's waste heat. Intel's Core i7 820QM is one of the fastest available processors. The right fan is responsible for the graphic card. ATI's Mobility Radeon HD 5870 is currently the best single chip graphic card. Two RAM modules with 2048 MByte DDR3 RAM each are already built in. A WLAN module costs extra. 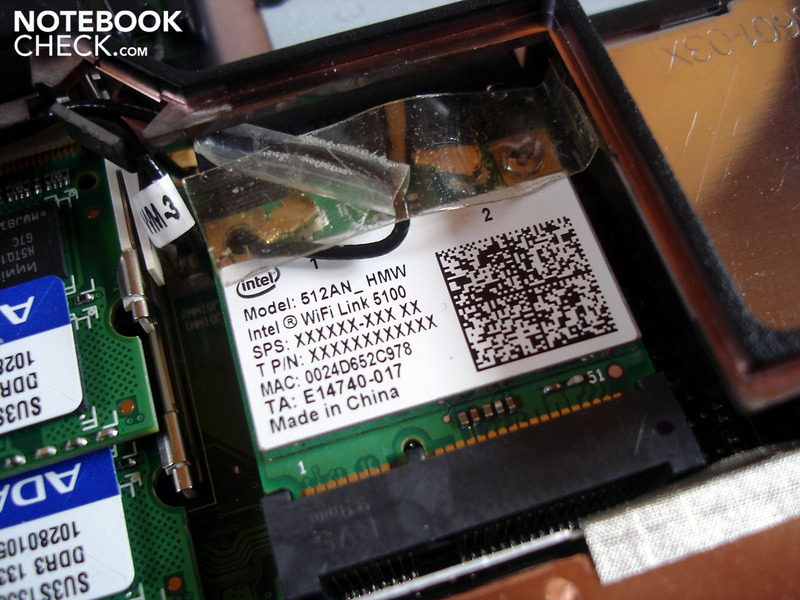 We found a WiFi Link 5100 from Intel in our prototype. 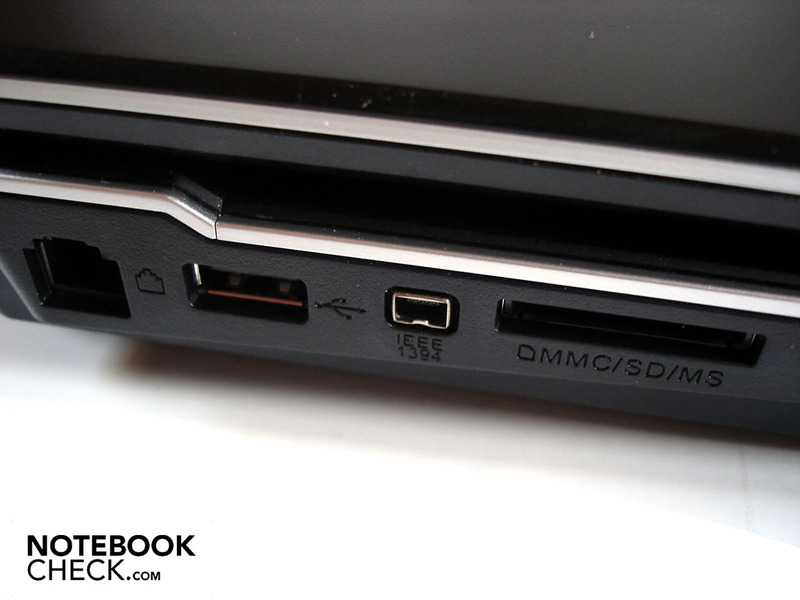 The Devil 9700 DTX even has a SIM card slot. 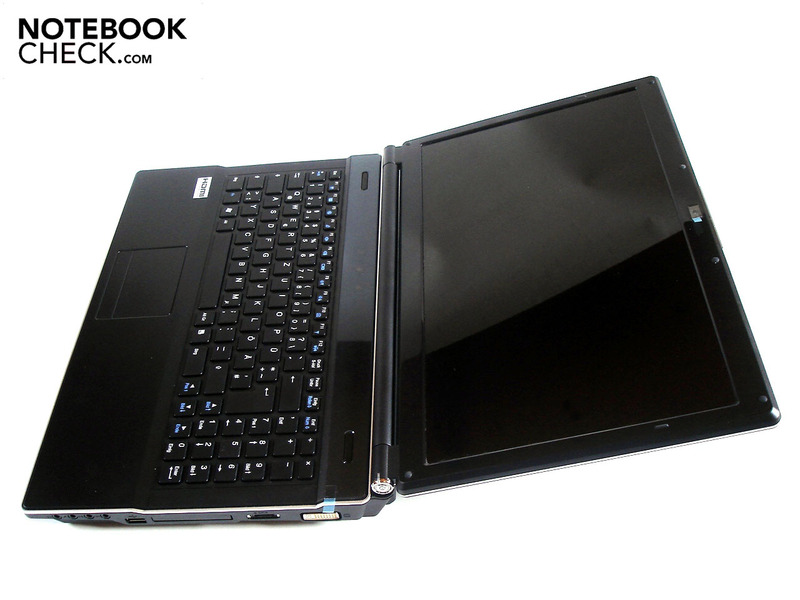 The notebook has place for only one hard disk. Our prototype has a 320 GByte sized HDD. The adapter is almost as wide and as high as the Lord of the Rings trilogy. You'll be pleased about the enormous gaming performance that the Devil 9700 DTX can supply, due to the Core i7 82QM and Radeon HD 5870, as a demanding gamer. Almost every available game can be played smoothly in FullHD and high details - wow! The fairly high noise development isn't anything for sensitive users. The Devil 9700 DTX is hardly suitable for outdoor use due to the average battery life and the reflective display, as well. 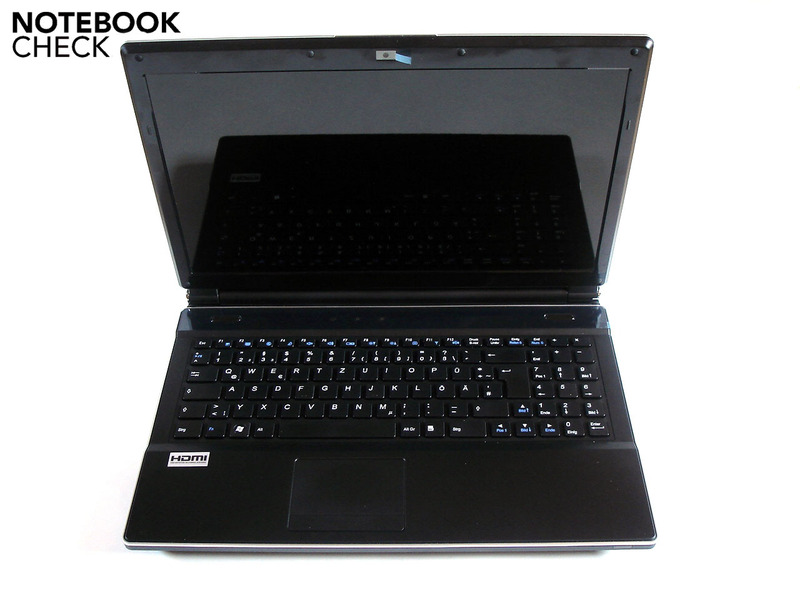 Expensive and DirectX 11 capable high-performance notebooks with a Radeon HD 5870, such as the Deviltech Fragbook DTX, the Cyber System Si17/Si15, the mySN XMG7.c/XMG6, the Notebookguru Fire i7/Storm i7 or the Hawkforce GameForce M17G/M15G.